Master brake cylinder seal in the engine front wall. 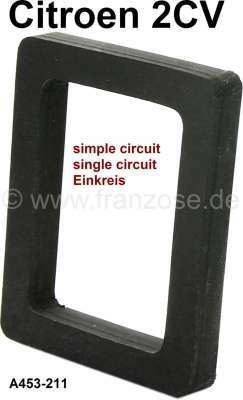 Suitable for Citroen 2CV with single circuit brake system and hanging brake pedal. Or.Nr. : A453-211. Made in Germany.